In Part 1 of this post, I discussed all the variables that led me to where I found myself in the Spring of 2017: out of shape and wondering how on Earth I’d balance work, taking care of Mom and getting back into shape in a way that wouldn’t cause me injury again. Around that same time many of my close girlfriends and guy friends were lamenting the same thing. Whether it was a marriage, a new baby, a promotion at work, or just general life circumstances, many of us found ourselves out of shape yet wanting to get back into shape with less time than we used to have to devote to working out. As I slowly ramped my exercise, gauging my fitness via events and workout trials at various gyms, I found myself spending the Summer of this year wondering if any one single gym could be everything I needed it to be. I tried running gyms, pilates gyms, barre classes, CrossFit, boot camps and more. While each gym seemed to be a piece of what I needed, nothing was really enticing me or feeling like the right fit. It’s not unusual for gyms in NYC to cost upwards of $200/month. Joining multiple gyms was out of the question for me as my boyfriend and I work to set aside money for our future together. I needed to find one gym that could do it all for me. It had to be somewhere that I’d feel comfortable at while I was out of shape and working my way back to fitness; yet it also needed to be challenging enough that I wouldn’t have to find an entirely new gym once I was feeling more in-shape and ready for bigger challenges. It had to be welcoming to both men and women so I could work out with my boyfriend and friends. It had to offer group classes. It had to have a combination of movement, strength training, and endurance training. I knew I wanted weight components and running components for sure. It needed to have high intensity interval training. I knew this would allow me to challenge myself at each class and work my way back to fitness quicker thanks to short and medium periods of all-out effort balanced with lower heart rate paces. It had to have supportive instructors who would push me without berating me. I was feeling sensitive about my physical state and how far off my prowess had fallen. Yes that’s my ego talking. It had to be fun, and have friendly people as members and employees. I’m not saying I need to be friends with everyone at my gym…but if that happens, I’m totally cool with it! It needed to have some kind of activity tracking, as I’m competitive and like to watch my efforts during class and my progress over time. It needed to have classes that were not impossible to get into at popular times such as before work or right after work. Working out at 10 AM or 9 PM just doesn’t work for me. It had to have convenient locations, which for me means one near home in Brooklyn and/or another near my work in Manhattan. Being able to work out with friends is important to me, and keeps me going at times! By the late Summer, I’d narrowed my gym investigations down to locations specializing in high intensity interval training on circuits. What is high intensity interval training? Basically, you mix periods of maximum effort with recovery periods. Usually the max efforts come in short bursts, which allows you to quickly build up endurance and strength. My doctor was very in favor of this as the combination of various movements would allow me to evenly rebuild my muscle strength and fitness levels, making me less likely to expose myself to re-injury. I found tons of options in NYC — plenty of major gyms and boutique gyms run high intensity interval training (HIIT moving forward in this post) classes that run anywhere from 45 minutes all the way up to 2 hours. The sweet spot for me? One hour, with an option to do 90 minutes. I was intrigued by how each gym ran things a little differently. In some gyms, I used no machines — hand weights and my own body weight resistance only, with running done around the perimeter of the classroom itself. In other gyms, shiny treadmills, bikes, rowing machines and more awaited me. Being out of shape, I paid close attention to how active the instructors were in correcting my form and keeping on me to get it right, rather than letting me do my own thing after one or two corrections. Any gyms that let me get away with too many incorrect moves or form were quickly eliminated from the running. What some of those initial workouts felt like. Still, by September of this year, I hadn’t found any gym that really spoke to me. So many of the gyms had the same workout over and over, which left me bored. Others had some of the criteria I wanted but not all. Some had staff and instructors who didn’t seem to enjoy their jobs very much. And very few had locations close to my new home in Brooklyn. This former Manhattanite was sad. Feeling frustrated and a little despondent, I lamented my lack of gym perfection to friends over dinner one night. One of my friends suggested one last gym for me to try — one that had just opened a location less than a 15 minute walk from my apartment. 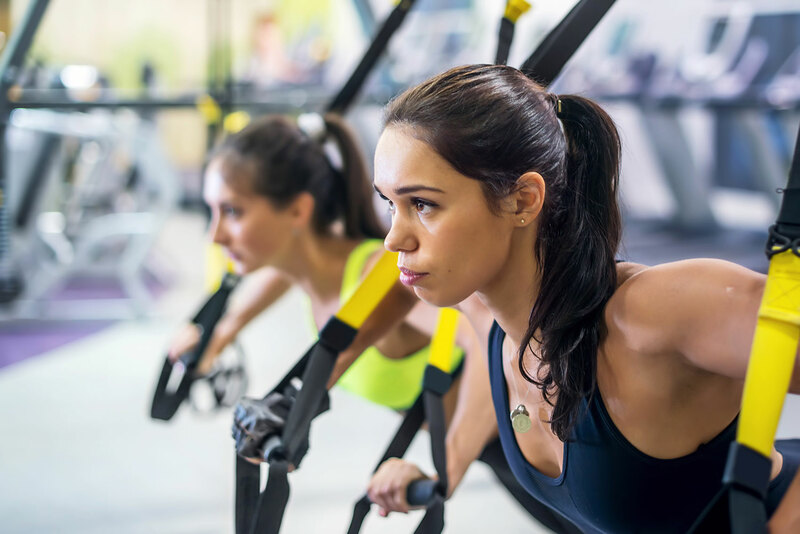 When she told me about the gym, I’d never heard of it before and was more than a little skeptical that it would be radically different from any of the other 15+ gyms I’d tried so far. Entering this gym felt like a homecoming. Eight weeks later, I fully admit my friend was right. I’ve found my gym goldmine — the one that meets all my criteria and has given me 6+ weeks of solid gold workouts, 3-5 classes a week. It offers balanced workouts featuring HIIT. No two classes are ever the same. The staff is friendly, on the ball, and challenging. So are the workouts. It feeds my competitive spirit via constantly engaged group classes and activity tracking. All of my friends who’ve tried it are hooked too. I’m beyond excited to have found Orange Theory Fitness! Over the last 6+ weeks, multiple times a week, I’ve run, rowed, crunched, balanced, stretched, pushed, recovered and endured my way into the best workout routine I’ve ever had. I get more out an hour in these classes than I used to get working out 5 times a week at 5 different gyms! 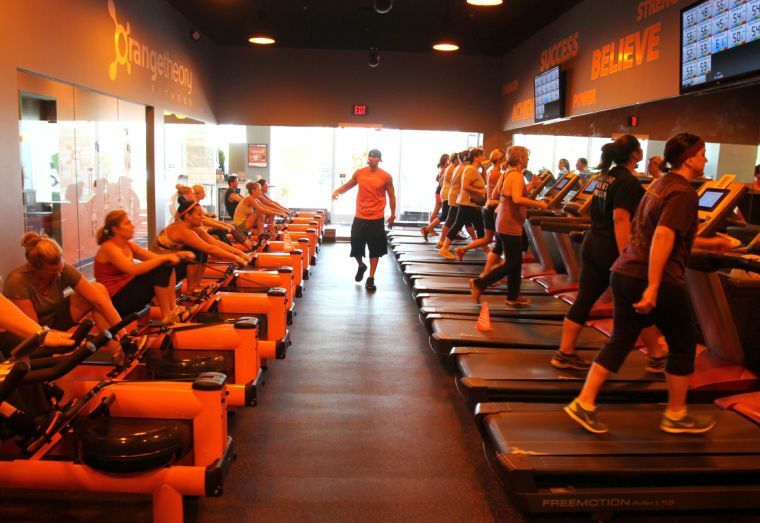 What sold me on Orange Theory Fitness above all other gyms? So many things. My very first time working out there, I was greeted by incredibly friendly staff who explained how the classes would work, how to use each machine and what to expect out of my class. I found other members at the locations I’ve visited to be warm and engaging, and determined to work hard. 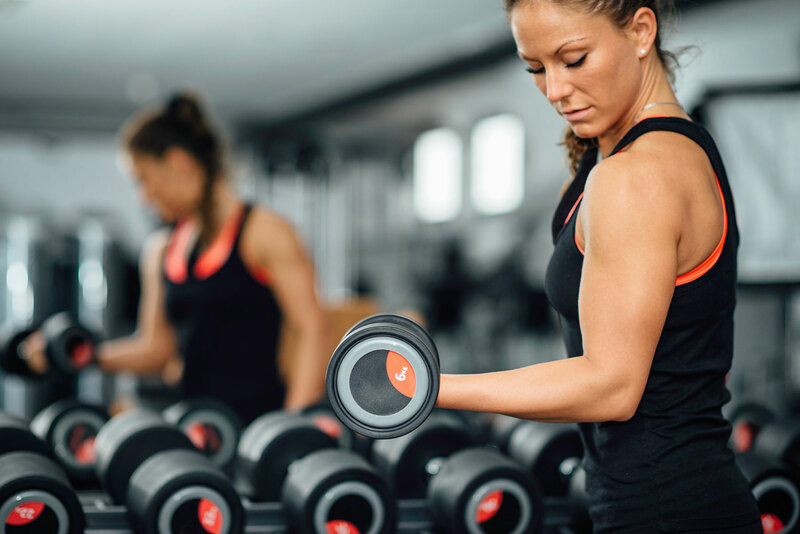 Orange Theory prides itself on never repeating workouts (except for periodic fitness check classes, which run about once every three to four months) which means every class is a delightful — and demanding — surprise! I’ve learned new apparatuses like half-exercise balls with one flat side, used TRX bands in ways I’ve never thought possible, and run faster sprints than I ever thought I could. Best of all, I’m already feeling the results I was hoping to get. 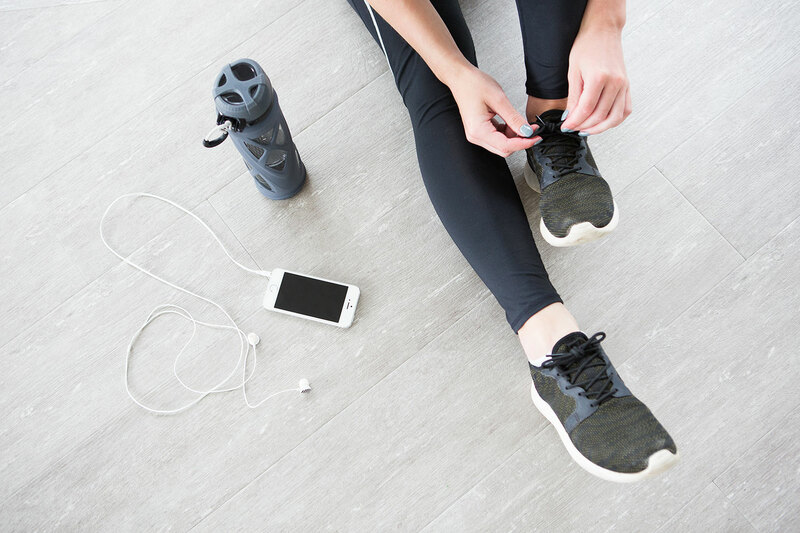 For anyone who has fallen out of an exercise routine perhaps you can relate: one of my biggest fears in getting back into a routine was that it would take forever to get back to my previous stamina. Turns out, once I started going to Orange Theory Fitness regularly, my stamina returned pretty quickly! The first two weeks were tough, no doubt. Lots of soreness and wobbles and moves I just couldn’t do. But week three I turned the corner. It’s like my body suddenly remembered that I used to work out! Now I’m concentrating on achieving new levels of fitness that I’d never even considered before. Before this regimen for example, I’d never done dedicated weight training regularly before. I’d only used free weights during rowing classes, when we’d take breaks off the rower on the floor with weights, and in my barre classes, when our warmup included light weight work. Maybe five minutes of weight work max per class. Weight training felt scary to me before. I was afraid of bulking up or injuring myself. Now? I’m so comfortable with weights and so many different moves that work different muscles — including muscles I hadn’t felt in a very long time. Twenty minutes of floor work is no problem! I absolutely love the variations of workouts that Orange Theory provides each class. Although a good amount of studio space is devoted to treadmills and rowers, you’ll never be bored with the same workouts repeatedly! The floor exercises mix movements, from weights to TRX bands to step benches, moves on mats, medicine balls and good ol’ body weight resistance movements like planks. Some days we spend an entire rotation in one spot on the floor, other classes we’re challenged by a set on the floor mixed in with a set on the rower or the treadmill. One of my greatest barriers to continuing to exercise is boredom. 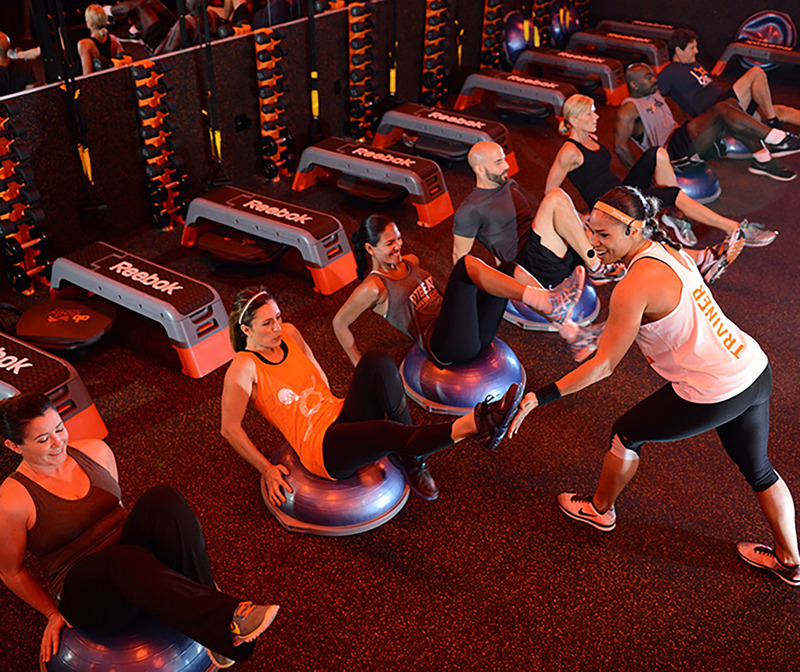 Orange Theory is never, ever boring. Day to day, I have no idea what’s coming in each class. The movements change every single day and there are multiple types of class focuses. One day we might be doing quick rotations in tabata-style movements. Another day it might be long, demanding endurance periods. Best of all for competitive people like me, each classroom has multiple large screens displaying our heart rates, calories burned and ‘splat points’ during the class. There’s no class ranking here so it’s not competitive against each other; rather, each class we see which ‘zone’ our heart rate is getting us into and how many splat points we’re earning individually and as a class. This allows me to clearly measure my efforts over time (I get an email after each class with my calories burned, splat points and heart rate summary, and in the app I can track myself over time). After just a few weeks with Orange Theory I knew I’d found my home. This gym is incredibly challenging to me and thanks to the way the workouts are structured, it will continue to challenge me as my fitness continues to improve. My classmates have been every state of fitness from trying out their first workout regimen all the way up to several NY Marathon runners. I’ve had classmates who are pregnant, recovering from injury or getting back into shape like me. 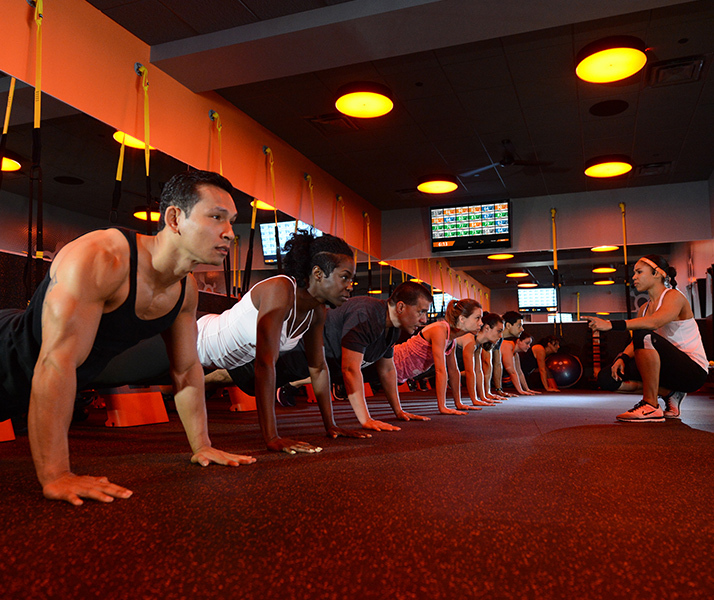 Many of my classsmates are already in good shape and continue coming to Orange Theory Fitness because of the challenge it provides, and its ability to keep challenging us as our fitness improves. 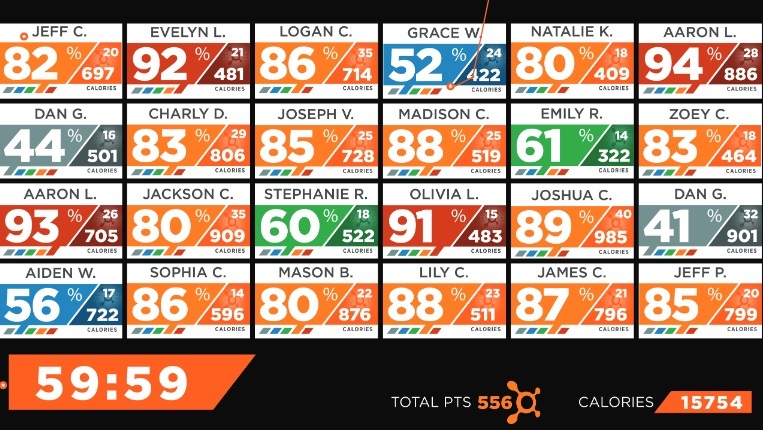 Although I’d never heard of Orange Theory until my friend suggested I give it a try, it’s actually a fast-growing nationwide chain. I was happily shocked to see that they have over 100 locations. So even when I travel I can continue going to Orange Theory and not miss a beat! I love that nationwide, they do the same workout each day. So my home studio in Brooklyn is doing the same workout that the Chicago locations are doing and the same workout as Miami on any given day. Next day? Entirely new workout done at all locations. And so on. Three weeks into trying Orange Theory, I knew I was excited about this place. I couldn’t believe that more people didn’t know about it! I’d been telling all my friends and even my boyfriend, who is very much in-shape as a triathlete and picky about his gyms tried it and loved it. It was a total no-brainer for me to pitch Orange Theory as a sponsor, and to my delight they immediately said yes! I really want to emphasize that I was already working out here before pitching a sponsorship to them because I truly enjoy the gym. If they hadn’t said yes I would still be working out there just as hard, and this wasn’t a brand who approached me cold. Like a good marriage, this partnership just makes sense. 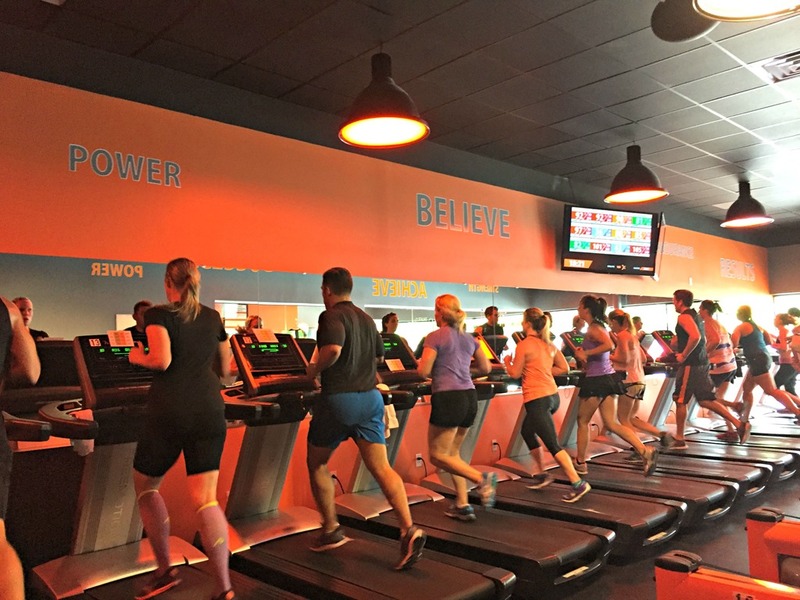 As a sponsor of this blog, I’m delighted to be working with Orange Theory Fitness on exclusive offers just for this community! Better yet, Orange Theory is giving me access to special offers no one else has. Now I know that sometimes people say “no one else has this offer!” and it turns out that well, actually lots of people have the same offer. In this case however I’ve worked with their team to create special promos that simply do not exist outside of my sponsorship. I’m very thankful that the Orange Theory team is willing to go so above and beyond and give me access to sharing some great special offers. A girl goes faster with a great support group. 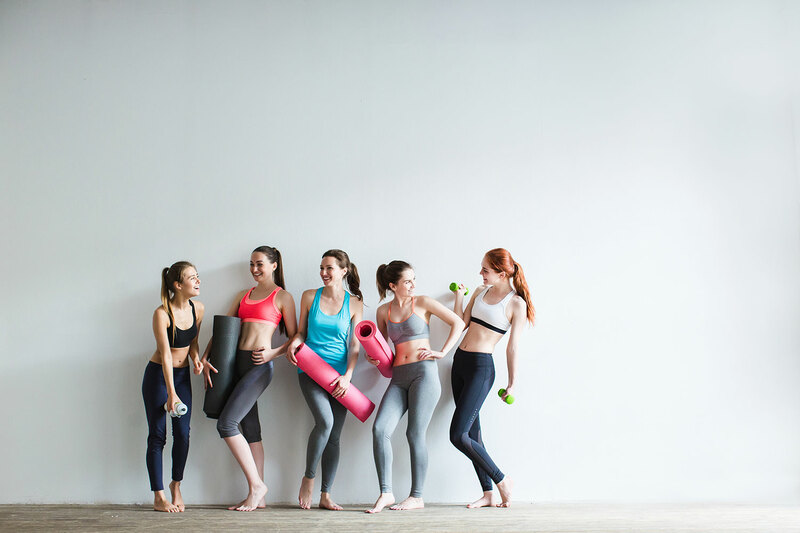 Let’s work out together and support each other to amazing results! 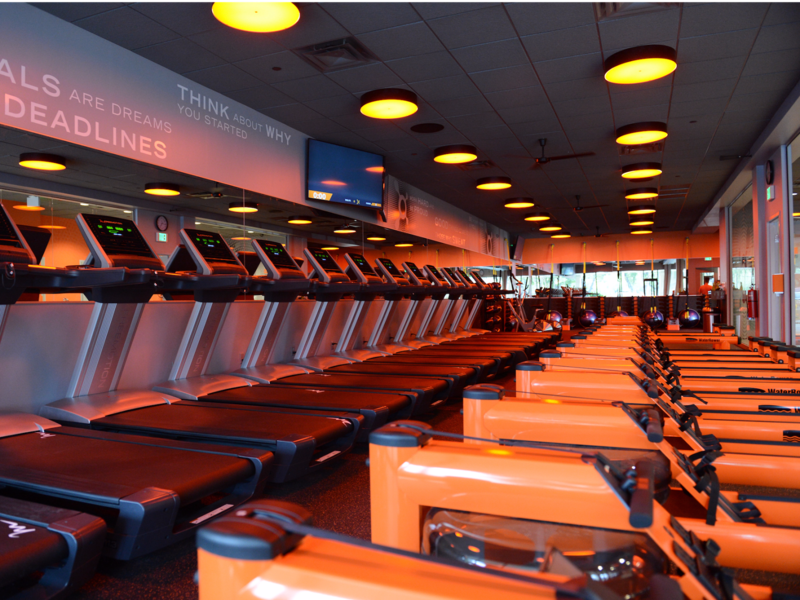 Right now, we are testing this sponsorship at the Brooklyn, NYC locations of Orange Theory ONLY. If you live in the Brooklyn area and would like a chance to try out Orange Theory for free, and access to an offer only I can provide that includes extra free classes with a membership purchase, email me. And if you don’t live in the Brooklyn area? Call your local Orange Theory, tell them Roxy sent you and you want to try a free class, and encourage them to opt into the sponsorship offers I have! Over the next year, you can look forward to repeated updates on my journey to fitness with Orange Theory. I’m shooting a video diary which will premiere closer to New Year’s Day and will be running a blog series about the experience too, launching next week. I’ll be sharing everything from the class experience to how I’m managing workouts back into my life to the gear I’m wearing and using, to training, cooking and fitness outside of the class. Your interest is a little piqued, huh? Maybe more than a little piqued? I know it took a lot of mental energy to get back into wanting to work out — helped along by friends. If you’re looking to get back into a workout routine, or want someplace to call home during the winter when it’s too cold to exercise outside, or are in great shape and want to try something new, I can’t say enough great things about Orange Theory! If you live in the Brooklyn area and would like to try a free class with me the week of December 9, 2017, email me. Let’s make this year end on a truly great note!! Tomorrow on the blog, a new gift guide and discussing Urban Outfitters’ latest quarterly results. I just started doing HIIT classes and adore them. I avoided them for the longest time because I thought I'd pretty much drop dead in the middle of it, but I did so much better than I imagined, and feel amazing after class. Highly recommend trying HIIT if you haven't already! Ha! I felt similarly Anthropolitan, I was very scared of trying HIIT for a long time too. Even on those days when I wake up feeling like I don't want to go, I just think about how friggin good I feel afterwards, and that's enough to get me out of bed and into class. Funny that I am signed up for my first orange theory class this Sunday (in bedminster nj). I lift with my trainer/workout buddy 3/4 times a week (I LOVE lifting and to some extent it is my crack). I am gaining muscle size but on the day or two I don't work out with her, I want to try something that can fit in about an hour and has am classes (and quite frankly include more variety than just lifting). The options I came up with were do something more at one of my existing gyms (I have a couple also), buy a peleton bike or try orange fitness. And that is where I am – I will be there Sunday and look forward to hearing how it goes with you!. Oh nice! Over Thanksgiving the Peloton bike was a popular topic of conversation — several of our family friends have purchased it, but since I live so close to their Manhattan studio I can't imagine buying it right now. Saw your email and will respond shortly. So excited for you to try Orange Theory!! Will let you know. The bike is option two if I don't like orange theory. Folks I know love it but just not sure spin alone is the thing I want to fill my empty workout days. I keep telling myself I’m going to sign up for Orange Theory but I keep chickening out. I hear you lady. I was delaying for a long time, but now that I've done it I can't believe I waited so long! My bff has been begging me to try OT. I think its time to give it a try. This is awesome babe! I wish we had an Orange Theory! I've heard amazing things! It's so much fun! Hopefully one will open near you soon. Thank you for sharing your story. Getting into the groove of working out every day is not easy. I’m glad you found a place that keeps you inspired and active to achieve all your workout goals. Thanks Cristina! I'm so very excited about this place. K, an Orange Theory just opened up literally down the street from me. I have a friend on FB that always posts her workout stats from there and i think that has really intimidated me – the workouts sound really hard! 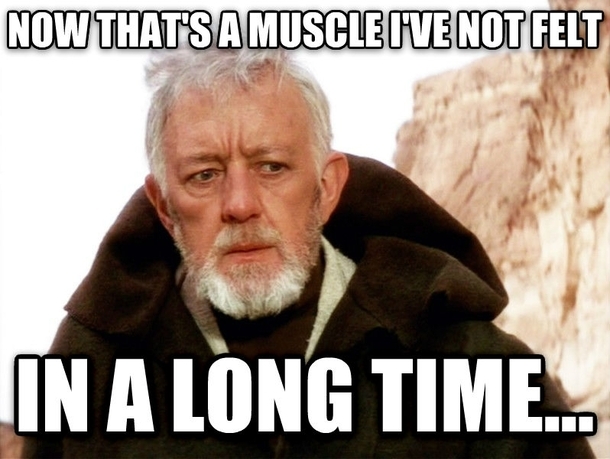 I started working out/dieting in March and was really successful for a couple of months but somehow fell off the wagon. I know i need to start again because it was so good for me and truly made me feel better but starting is so hard. Thanks for sharing your journey with us – you are inspiring ! I am older (57) and the person I work out with is younger (35 and I really thing genetically gifted). Anyway, one thing she told me that has stuck is you are only competing with yourself. Don't worry about other's stats, just worry about yours and how you are improving. Once you start to ignore others and focus on your progress, it will all fall into place. 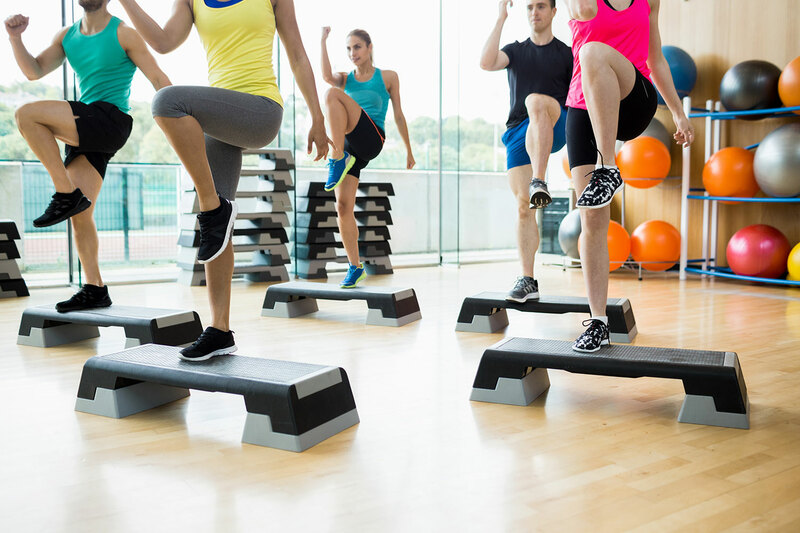 I suppose it's all relative — compared to my boot camp workouts Orange Theory is much less intimidating, but I can also understand how if you're not in the workout groove it could sound scary. The nice thing about OT is that they will modify for you, in fact in the floor moves they nearly always give a modification option as part of the description, and they give a range of poundage to use for weights (i.e. women 8 lbs and up, men 12 lbs and up) which is very helpful. At the beginning, there were some arm raises that I couldn't do with weights at all! Even their lightest set was too heavy for me. It made me giggle. I have been a member for years, and it is accommodating for all fitness levels. In the classes at my studio, you might find anyone from a college athlete to a complete beginner who hasn't worked out in years or ever, and everyone in between such as busy working moms like myself, men, women, all ages… You can just do whatever is your comfort level-running or walking, heavy weights or no weights, modifications etc. It does not feel competitive, and everyone just focuses on their own personal best as someone mentioned below. I am a big fan! Thanks for your thoughts, Melanie! I agree, you've put it perfectly. Totally OT (glad you are getting back into fitness, Roxy!) but have you seen the new Anthro for Dec. UGH. I think they took 1 giant step backwards. I haven't looked yet, lol. I'm kind of scared to! Working on the quarterly call post, should have it up in the next few hours! my boyfriend LOVES OT!!! He keeps trying to get me into it…maybe I should give it at try!! Do! My boyfriend and I have so much fun there together — and love dissecting the class afterwards to talk about our best and worst moments. I love OrangeTheory! My husband and I joined back in March and recently upgraded to the unlimited plan. It really is such a great workout! I have fallen off the wagon since Thanksgiving and being sick this week but hopefully I'll be back at it next week! High five sister! That's awesome, and I hear you on taking a turkey break. Love this post! So informative. It's so important to find a gym that you actually enjoy going to! We just got an Orange Theory, I need to try it out! Nice! It seems like they are expanding quickly. I hope they open near my parents' place soon. I wondered from your first post if OT might be "the one." I have been going there for several years now in FL. Love that they have regular classes AM to PM to fit whatever is on my plate that day, I show up for any hour (or 90 minutes when I can), someone tells me exactly what to do, and I get in a good workout then go about my business. I also like that I control the tempo. If I am feeling sluggish, I know I can still show up and work at my own pace, which means I am much more likely to show up than to stay at home and do nothing. Highly recommended for any of you that are thinking about it! Agreed! 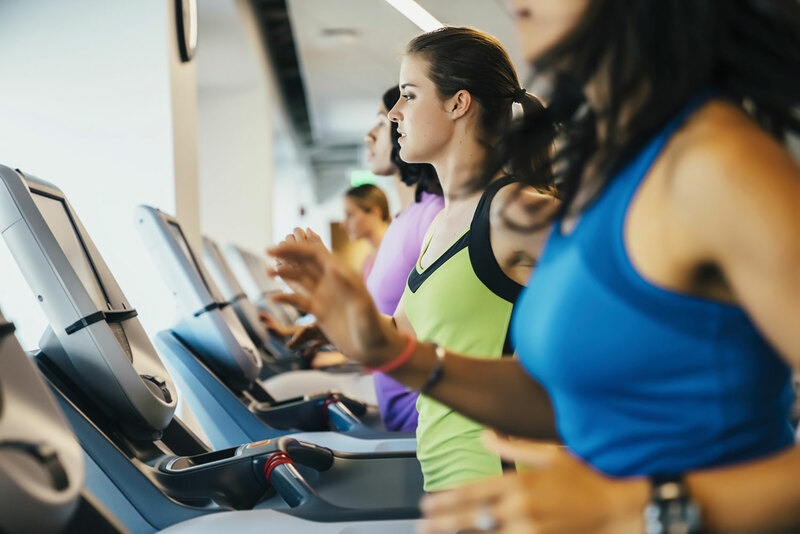 Such good points, for instance yesterday I was feeling really sore but still wanted to go, so I took it a bit more slowly than I normally would…and by the end of class when I was looser I gave it my all on the treadmill. Still got in a great workout! I've gone from being in the best shape of my adult life one year ago to almost the worst today so I definitely feel this! In my case, I know EXACTLY what the problem is–after a long time long-distance, my boyfriend moved in with me last year and I went from working out in the evenings to cooking/watching TV/playing Settlers of Catan. I've been trying to get back into my old routines and also trying to work out more together, but it is so much harder to lose that weight than it was to put it on! I'm so interested to hear of your experience with HIIT; I've been interested but afraid it would be too hard for me, so it's great to hear it can work well for people getting back into shape as well as those already in shape. There's an Orangetheory near me so I'm looking forward to trying it out! Haha, I can totally relate. Part of what made me realize that hmm, no, I really am gaining weight was after my boyfriend and I moved in together and had the "why is my tummy protruding?" conversation. I'm told love does that to people. I hope you enjoy your Orange Theory! I'd love to hear what you think after you try a class. I have been wanting to sign up for Orange Theory! Your gym list looks so much like what I want. I'm looking forward to trying a class soon! Awesome lady! Very excited for you. We have an Orange Theory here in my town. I’ve been curious to try it out and see what it’s all about. Thanks for your informative post! Love hearing about your fitness journey! Orange Theory is great! Definitely love HIIT workouts.